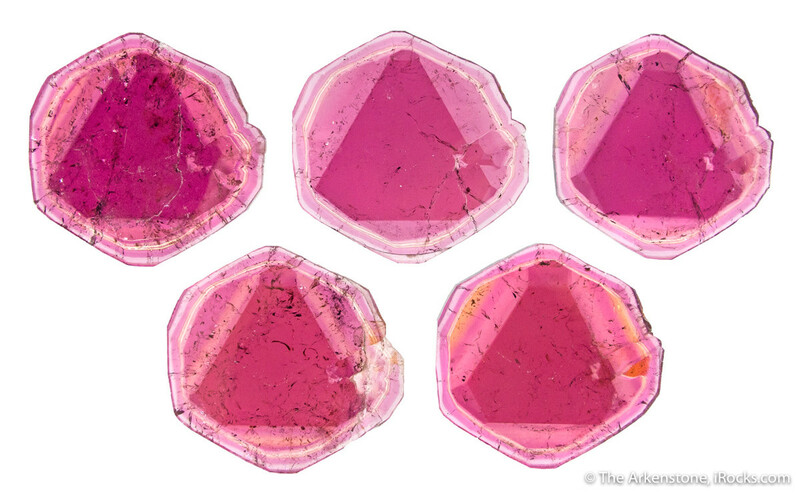 Tourmaline: Most Colorful Mineral in the World? The tourmaline is a very sought-after rare rock amongst fine mineral collectors for its massive range of colors and shades. The depth of color in tourmalines rival that of emeralds, rubies, and sapphires. 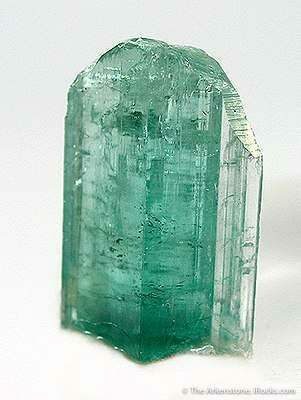 Yet, the tourmaline doesn’t have an extensive history of myths and lore because it is a relatively modern discovery. The earliest known history of tourmaline minerals were as recent as the 16th century, when Spanish conquistadors on the Isla of Elba confused tourmaline for Brazilian emeralds. Tourmaline crystals are highly transparent with a vitreous luster, giving green colored specimens a deep and rich vibrancy that can pass for an emerald. When viewing the tourmaline below (from Minas Gerais, Brazil) it's easy to understand how they might have confused the two. Tourmaline remain misidentified until 1703, when Dutch jewelers introduced the mineral to the markets of Europe. 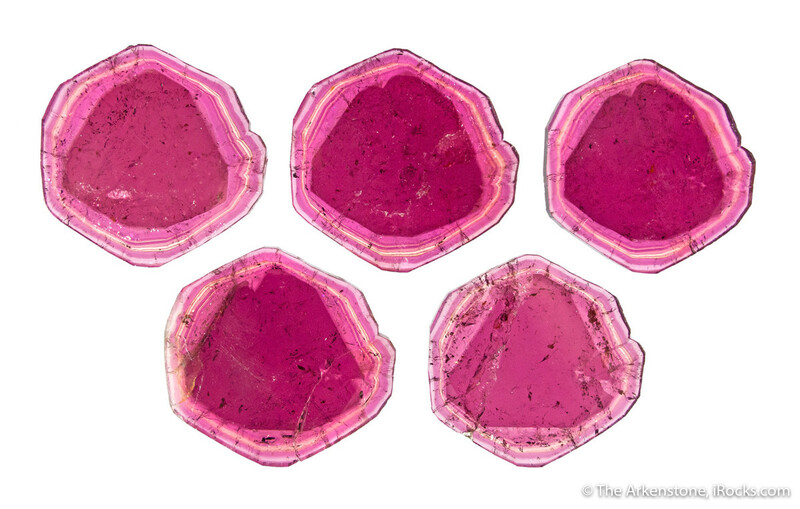 Tourmaline would eventually find its way to Tiffany & Company where jewelers discovered a chemical composition that was different from anything else on record. Later observations would describe tourmaline as a grouping of four different types of minerals – elbaite, schorl, dravite, and liddicoatite – instead of a single mineral. Each type of tourmaline has a similar crystal structure but different chemical compositions that create its unique range of colors. After the discovery of tourmaline as a mineral group, additional mines were found in Sri Lanka, Russia, and the United States. In 1892, gemologist George F. Kunz (the namesake for the mineral Kunzite) wrote a report on the discovery of tourmaline deposits in Maine and California. Between 1898 and 1914, California was one of the largest producers of tourmaline in the world with crystals coming in rich shades of blue and yellow. Maine held steadier yields with a greater range in colors and weights, including a blue and green 256-carat stone. Specimens from Newry, Maine have a very distinct color that many collectors can recognize instantly upon sight. 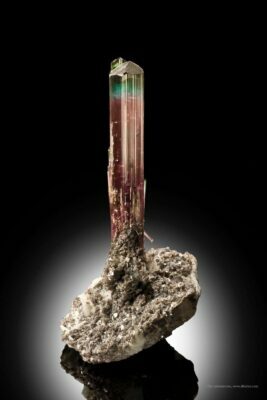 Exceptional 31 cm tall multicolored elbaite tourmaline from pederneira Mine, Minas Gerais, Brazil. The most popular type of tourmaline is elbaite, which offers the widest range of gem-quality colors and gradients. Elbaites are found within granite pegmatites, which are rich in a variety of elements needed to produce the range of colors for which they are famous. The chemical composition of elbaite contains a mixture of calcium, chromium, fluorine, iron, lithium, manganese, magnesium, sodium, vanadium, and rare traces of copper. 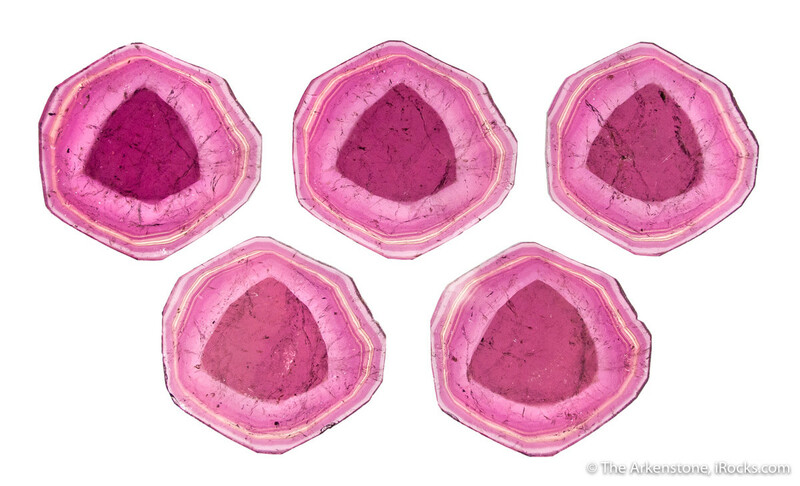 The signature “watermelon tourmaline” is formed when there is a change in chemical composition during crystallization, leaving portions of crystal with a red center and green rim. Alternatively (and by similar compositional changes), elbaites can also display bi-color or multicolor changes along the length of the crystal, as perhaps most famously seen in tourmalines from Minas Gerais, Brazil. 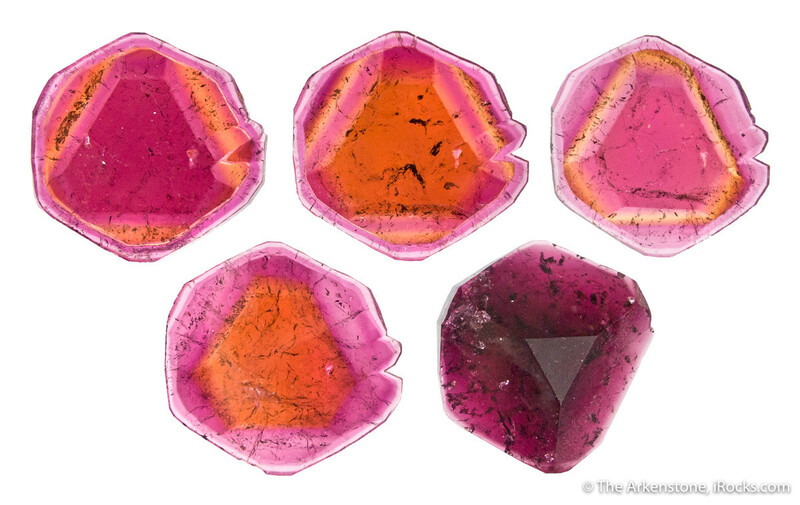 Multicolor specimens are coveted by gem collectors and specimen collectors alike, as multicolored minerals are rare to come by, especially in the many shades tourmaline can provide. The liddicoatite type shares nearly mirror-like chemical and aesthetic properties as the elbaite with an equally impressive color range, but with a noticeably larger volume of calcium. 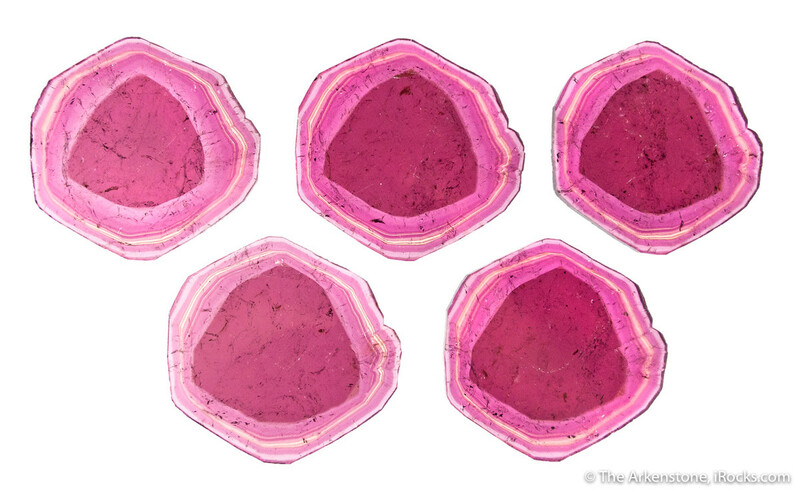 Liddicoatite are unique with their trigonal pattern and multi-color zoning that can create some striking formations. Schorl are the most common type of tourmaline, accounting for nearly 95% of tourmaline mined. Most specimens are a solid black color from their rich volumes of iron. Dravite is a marble-like mineral that forms in limestone and is typically a brown-reddish color. Tourmaline is a beautiful gem-quality stone that comes in a wide-spectrum of colors and shades. Mines in the United States have often supplied much of the world’s tourmaline, and the State of Maine named tourmaline its official state stone in 1971. With multiple colors and a transparent face, they continue to be a favorite rare mineral amongst rockhounds and collectors alike. 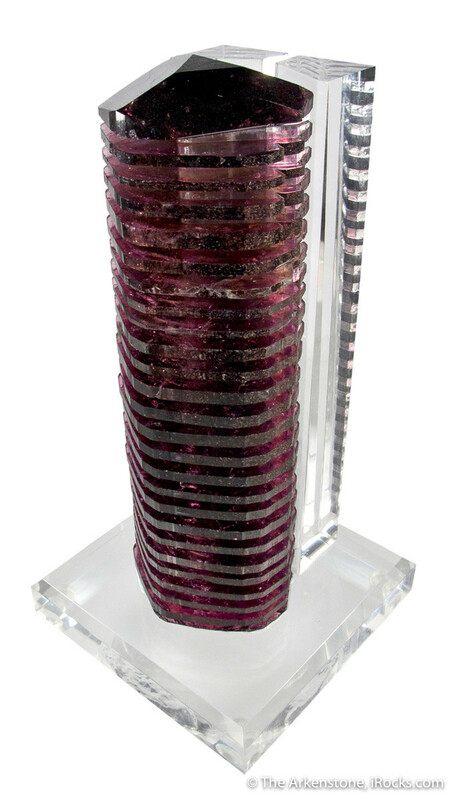 Shop our Tourmaline selections to see what treasures we have available! Various, Tourmaline Gemstones – A Collection of Historical articles on the Origins, Structure and Properties of Tourmaline (Worcestershire: Read Books Limited, 2011), 189. Sandra K, Gemstone Feng Shui (Woodbury: Llewellyn Publications, 2002).